Are you looking for a simple, fully responsive theme that looks good on any device? 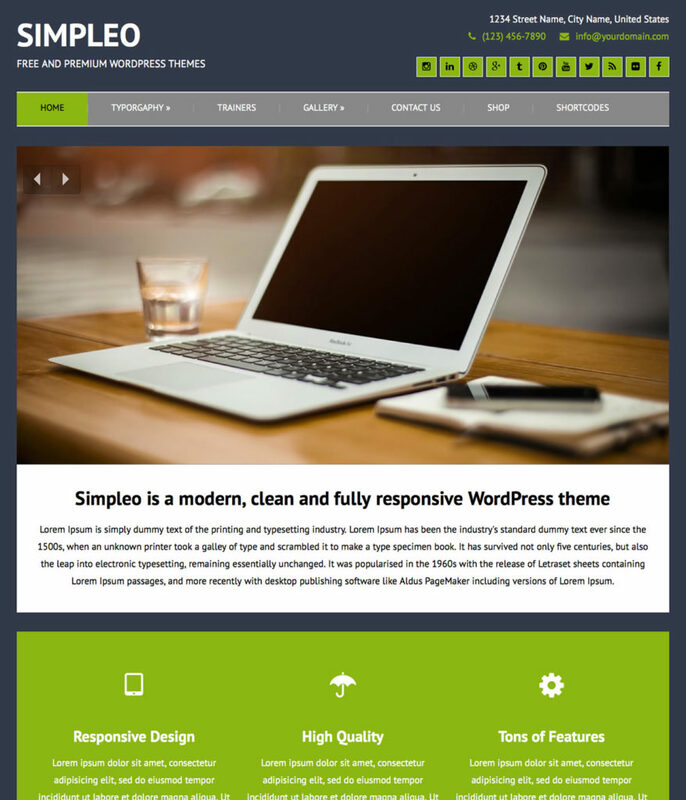 Here comes Simpleo, a modern, yet clean and fully responsive WordPress theme, packaged with lots of awesome features. This theme has a fully responsive design, let you chose a custom background, custom logo and favicon and blog post formats. Simpleo has also eCommerce support via WooCommerce, it is Translation ready, comes with Google Fonts, unlimited colors, 2 amazing sliders, advanced blog options, font awesome integration, social icons and more.